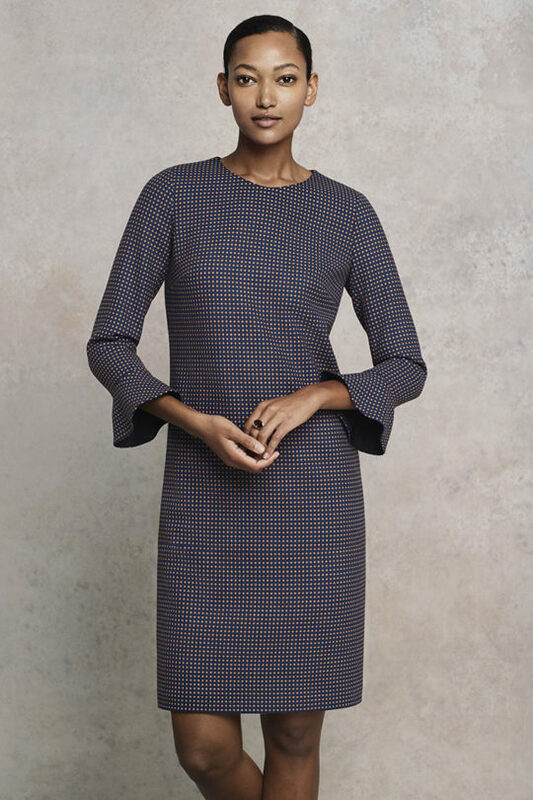 With an eye-catching modern pattern, this versatile dress has several tricks up its fluted sleeves. 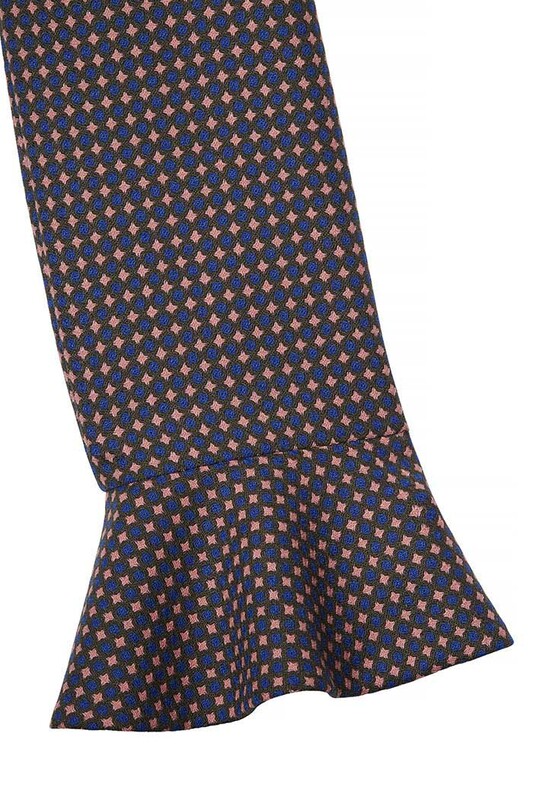 The Carnaby dress is made from Italian wool jacquard, woven with a striking blush pink and navy blue pattern. 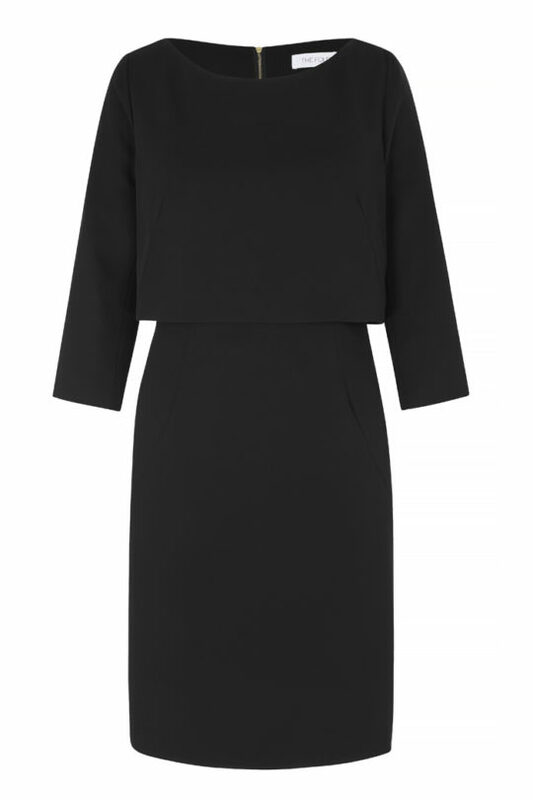 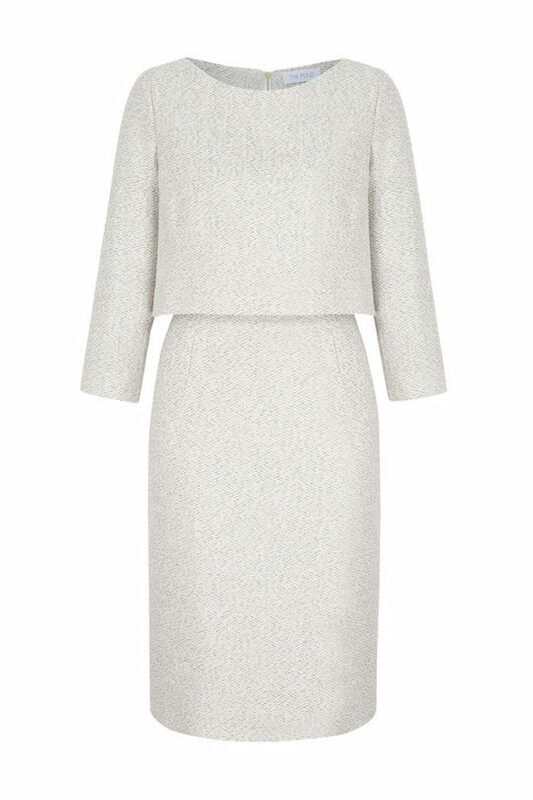 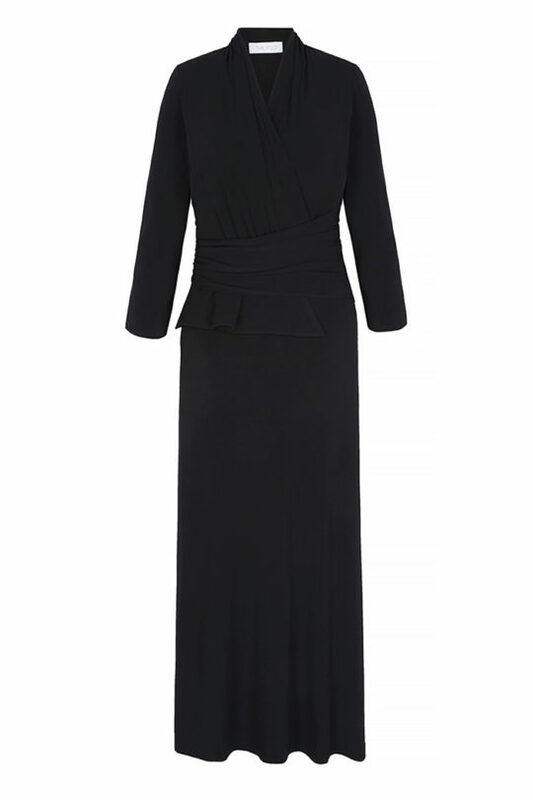 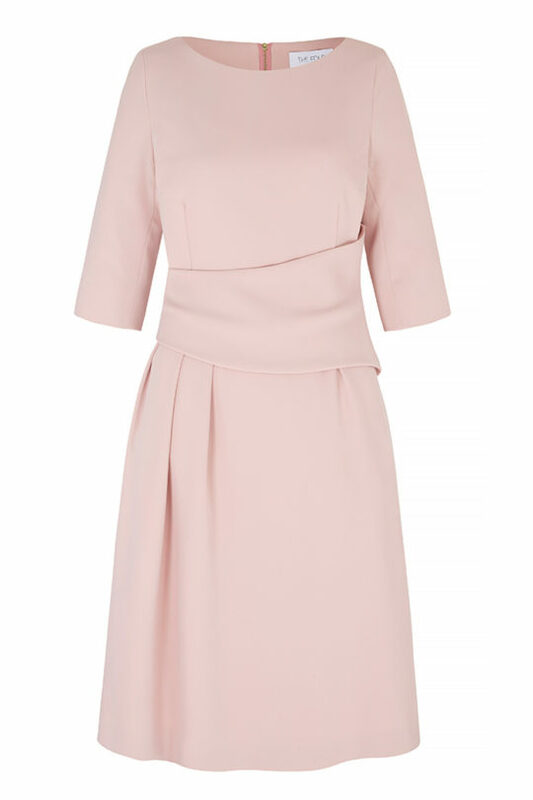 The flattering, fluid silhouette falls to the knee, with a round neck and softly fluted long sleeves.